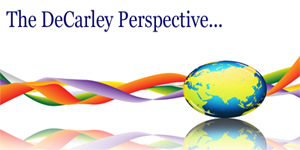 This newsletter was emailed to DeCarley Trading clients on August 18, 2011. Late summer corn rally, another fizzle, or both? Last week the USDA reduced its estimate of the 2011/2012 U.S. ending corn stocks from 870 million to 714 million. Although the reduction was actually less of one than most were expecting, corn futures rallied sharply on the news. Similarly, on August 11, the USDA's corn production is estimated to be at 12.914 billion bushels; 168 million below expectations and down 556 from last month's reading. However, despite relatively supportive fundamentals uncertainty in the currency markets and complete financial panic in the stock and bond markets, kept a tight cap on the corn rally. Some analysts we follow believe that in the absence of liquidation following the S&P downgrade might have enabled traders to bid prices back to the $8.00 mark. From a seasonal standpoint, the best trade in corn tends to be on the short side of the market beginning in late August to early September...but the next two weeks are statistically bullish. With that in mind, we feel the prudent course of action is to patiently wait for a near-term continuation of the rally with the intention of becoming bearish at better levels. We remain long-term bullish the U.S. Dollar index and bearish the Euro, but the path of least resistance seems to be the opposite in the short-run. Accordingly, a run in the Euro to the 1.47 area (about 71.50 in the September Dollar index) seems somewhat likely and this would help to keep corn sellers at bay. Adding to the near-term bullish bias, despite slightly technically overbought conditions, is a sizable net short position being held by small speculators. According to the CFTC's COT data, those holding positions small enough to avoid reporting requirements are net short nearly 100,000 contracts. On the other hand, large specs (smart money?) are net long nearly 300,000! This could be signaling a possible short squeeze, followed by fund liquidation. We are looking for resistance in December corn near the following areas: 730 (aggressive entry), 760, 790. Depending on the level of aggression you are comfortable, you might want to consider playing the downside from each at varying degrees. In the meantime, strong support lies at 660 with minor near 695.